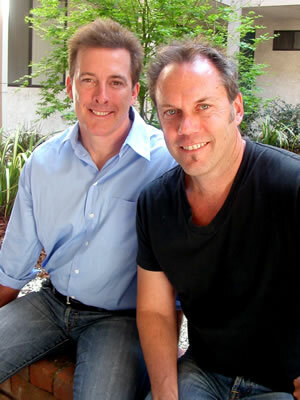 Owner/Designers Glen Fretwell and Gregory Thirloway specialize in landscape and hardscape design creating innovative, sustainable, environmentally friendly landscapes for residential and commercial clients throughout Southern California. From conception to design to completion, we handle all parts of your project to help make your dream become a reality. Using water friendly, drought tolerant, Mediterranean and California Native plants, state of the art irrigation systems and cutting edge design concepts inside out design’s goal is to reduce water consumption while maintaining a lush landscape. inside out design: We’re Growing Green…saving you money while you save the planet! With an ever increasing awareness of global warming, “green” landscape design appeals to the socially conscious, but with water rationing and rising water costs “green” landscape design now appeals to us all. As with hybrid cars, what began as a social statement has now become a wise financial choice as gas prices rise. The design philosophy of inside out design is that green landscaping no longer means white rocks, cactus, and concrete. Green landscape design is lush landscaping. There are endless choices that can please the aesthetic desires of even the most traditionally minded homeowner. With each project inside out design can take an existing landscape and transform it into a beautiful, fresh and eco friendly environment. In our first meeting we will walk you through your existing landscape and discuss your needs, desires and potential areas of improvement. At our next meeting we will present you a preliminary plan and plant palette and explain how the new design will make your home the showcase of the neighborhood and benefit the environment. As a member of the inside out design family you’ll discover how great design can beat mowing every time with an exciting and dynamic landscape that is environmentally responsible. Glen Fretwell studied landscape architecture and horticulture at UCLA. Gregory Thirloway studied environmental design at Art Center and landscape architecture and horticulture at Pierce College. He is also an artist and interior designer.